Thanksgiving is around the corner; the preparation, and the planning is at its peak. We do not have family here. We do not meet very many people during Thanksgiving. But all the festivities and the preparations reminds me of home. Pumpkins and Butternut Squashes are so abundantly used during this time of the year here. But back home we cooked pumpkin almost round the year. This is a very simple recipe, perhaps the most underrated of all the ways we cook pumpkins; this is not the kind of recipe which would be ever written down. It was just an insignificant part of our daily meals. Insignificant it was, but I loved it! Using the fire roasted dried chili pepper was my ma’s signature touch. 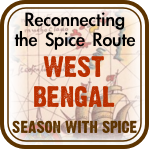 That distinct aroma of the fire roasted chili peppers and the mustard oil combined with the creamy yellow pumpkin to create everlasting memory. The fire roasted chili pepper was not used in any other recipe by ma. Why she used it here in mashed pumpkin I do not know, but it did add an unforgettable flavor to the not so interesting pumpkin. Sometimes this kind of easy comfort food calms my restlessness. Back home ma would cook/boil the pumpkin with the rice; that way it did not have to be cooked separately – just another way to save some time, and it also made it less watery when mashed. Traditionally this is called “Kumro Bhate” (Kumro= pumpkin Bhate=steamed in rice) or “Kumro Makha” (Kumro= Pumpkin Makha=Mashed). 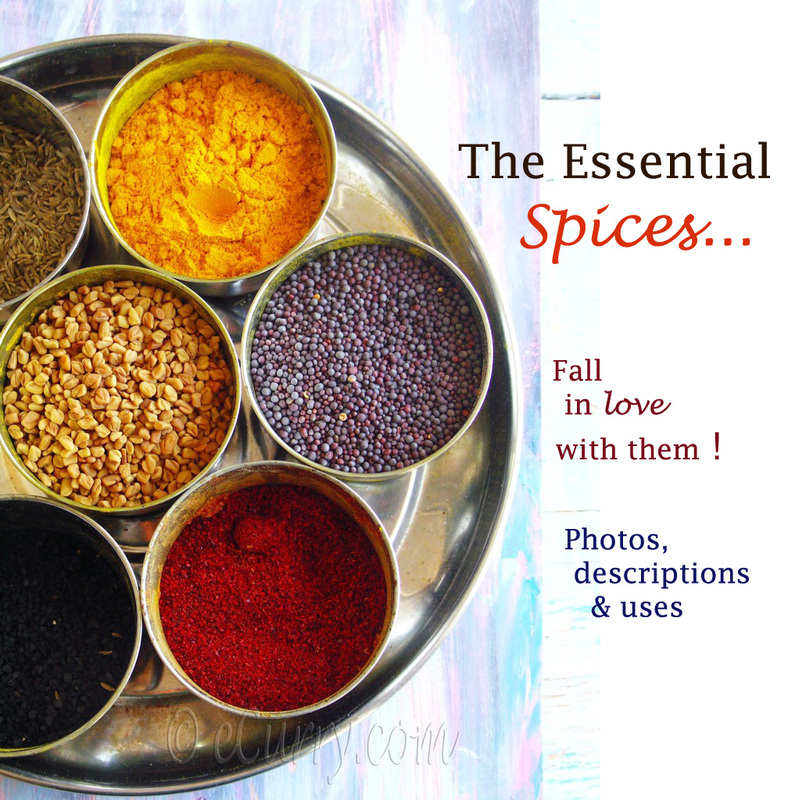 Mustard oil is traditionally used as a cooking oil and for garnishing at the Eastern Regions of India. You can use any other oil or butter, but the flavors will be very different from this one. 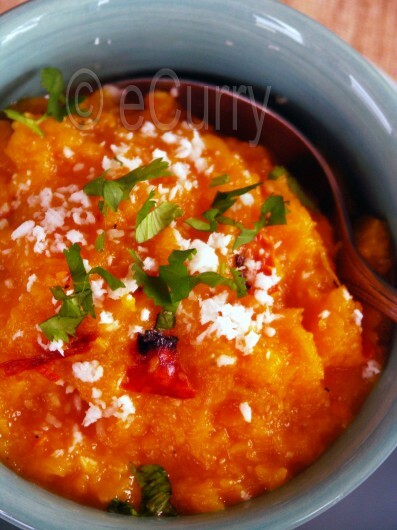 Here is the mashed pumpkin with Fire Roasted/Charred Chili Pepper, Coconut and Mustard Oil. In a Pressure Cooker: Add the required amount of water in the pressure cooker (Follow instruction for your cooker). Put all the diced pumpkins/butternut squash in a bowl in the middle of the pressure cooker and steam it for about 10 -12 minutes. In a Steamer: Place in a steamer or metal colander which will fit in a deep covered pan. Put over boiling water, cover, and steam for about 20 minutes, or until fork tender. To Boil: Cover the diced pumpkins/squash with lightly salted water; boil for about 20 minutes, or until tender. Microwave Method: Add 1 tablespoon water to the diced pumpkin; place them in a microwave safe bowl, cover it and cook for about 5 minutes. Uncover, toss the pumpkins, if all the water has dried out, add another spoonful, cover and cook for another 5-7 minutes or until the pumpkin is soft. Note that the time might vary with microwave. Mash the cooked pumpkin/squash with a masher or run it through a mill if you want it really smooth. Put the mashed pumpkin/squash on a strainer or sieve and let the extra water drip out. (If you skip this step you will end up with a mash which will be watery instead of creamy). Hold the end of the chili pepper with a tong directly on fire (Stove top or grill). 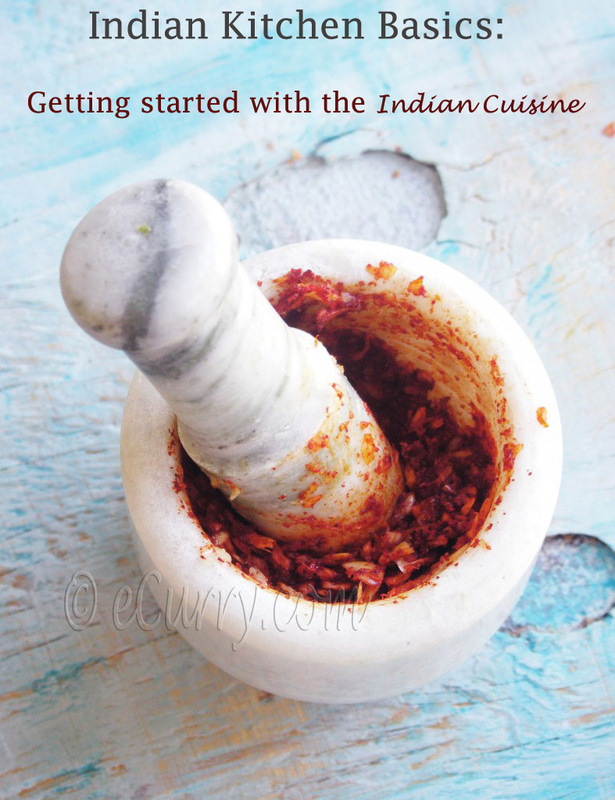 As the chili pepper catches the fire (you will see the flame on the pepper), remove it from the stove top/grill and let fire char the chili pepper. Gently blow out the flame right after. Drop the pepper on a plate or directly on the mashed pumpkin/squash. Add the roasted/charred chili peppers and the other ingredients to the mashed pumpkin/squash and mash it again for all the ingredients to combine well. Garnish with chopped cilantro. Very different flavors, very different taste; overall a non traditional mashed pumpkin. We usually serve this as a side with warm rice. 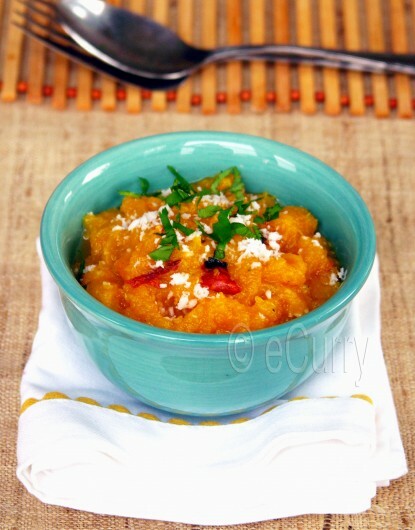 Use it as any other side recipe – pumpkin with awesome, flavors, sweet and fire! Happy Thanksgiving! Have a fabulous time with family and friends. 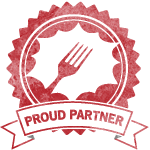 November 23rd, 2009 | Category: Sides & etc. Love the pic of chill on fire.. very nice technique to add some heat and flavor to the dish. 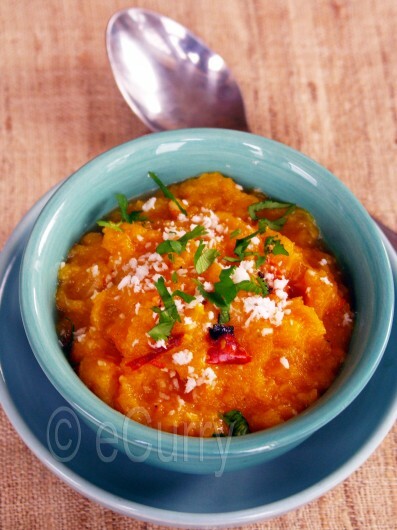 bowl of mashed pumpkins looks delicious..
One more fab way of enjoying butternut squash. A wonderful way of preparing pumpkin! Yummy! 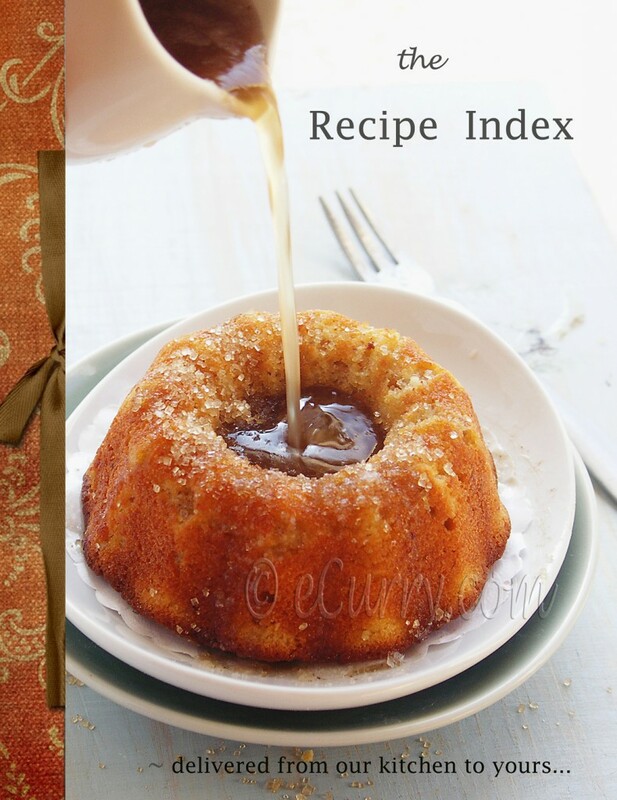 Wow,awesome recipe,should be tasting great,wonderful pictures! Aww the chilli in fire is very impressive and the the puree too! After seeing lots of pies it’s very nice to see a savory pumpkin recipe for those of us who don’t like pumpkin pie. This looks delicious. A great alternative to the traditional Thanksgiving sweet potato recipe. I just love these fragrant flavors. Have a wonderful Thanksgiving holiday. This reminds me of something that my mom used to prepare often and gosh I had almost forgotten about it. She used to season the boiled and smashed pumpkin and then add yogurt to it. Looks wonderful Soma, love that color. Hey there Darling.. I’ve missed you. I had to move my blog because I was dealing with a few blogzillas.. in a very small clique.. hope you got my e-mail. Hey, the roasted chilli really caught my attention! Must have added a lovely flavour. This subzi is new to me. I’m definitely giving this a try, but without chilly! Thank you. I just love the addition of coconut and chillie in them. Sounds really tasty! I love the sweet with the chilie heat. I am thinking of asking Santa for the new Cuisinart electric pressure cooker. What do you think? a very unique recipe indeed! 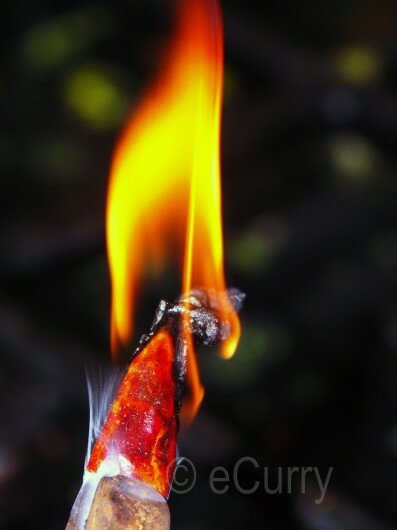 love the flame picture! that’s a nice twist.. i like it. how have you been? long time since we chatted. Gosh!That is a great twist, indeed!I love the flame pic, Soma so much..
Love all the pics,esp the chilli.The mashed squash looks great and is new to me.Unique recipe as always Soma. I’ve been making it quite regularly nowadays. Yours look glam! what a delight ! so easy n so fast !! We use butternut squash in Azerbaijan. I find pumpkins to be on the bland side, but I am sure flavored with the ingredients you suggest, it tastes great. I should try. Thanks for the recipe! Love the chilli fire part……gorgeous. Pumpkin and chili peppers; what an interesting combination. I have never tried them together, but I bet the chili peppers give a punch to the pumpkin. 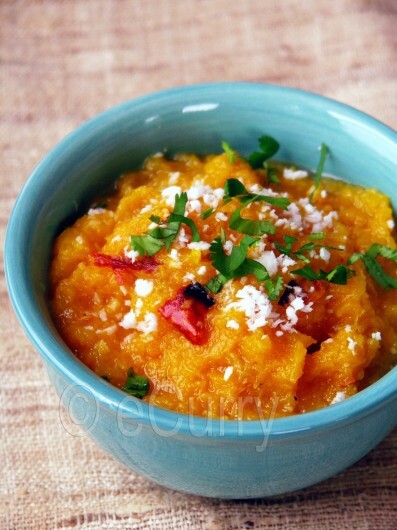 I didn’t know we have mashed pumpkin dishes in India! Well, coming to think of it Kerala erissery is kind of a variation of mashed pumpkin I guess. Love that chili on fire pic. Hope you are having a lovely thanksgiving!